Infosys surprise to investors in the Q3 report, all of expert to hope increase at least 4-5% in this year but Its revenues were at 10424 crore, which is a 5.7% Growth on Quarter third. 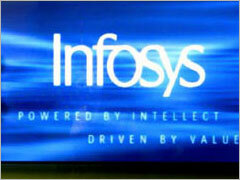 AS Expert Report Infosys may traded at 2450 to 2750 for 6-8 month, and may hope 2014 also will be good for INFOSYS. Today nifty open 22 point up side with positive index and support of US market also to Indian market. Nifty IT, technology, consumer durables and metal stocks are seeing shopping. Small-cap stocks have had a little bit of buying position. Oil & Gas, FMCG, Capital Goods, PSU, bank, pharma, power, realty and auto stocks selling pressure today. Infosys, Wipro,TCS, HCL, SESA GOA, MARUTI SUZUKI, TATA STEEL, LUPIN Are top gainers.